Imagine Iceland. Depending on your perspective, you might envision northern lights flaring above perpetual Winter darkness or, perhaps the endless midsummer sun. Invariably, you would think about cold weather, rugged volcanic landscape, and Vikings. If you are up to date on current economic trends, you might know that Iceland possesses a wealth of renewable energy resources and almost everything there is impressively expensive. 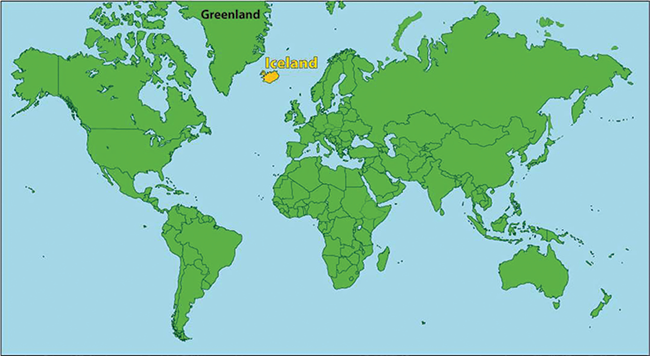 The last thing most individuals would associate Iceland with is Beekeeping. The back of Torbjörn’s diesel pick-up truck. Sugar syrup and bulk sugar for feeding. Plenty of spare hive parts and equipment in case something goes awry. This past Spring on “Bee Day,” I was helping distribute packages of bees when I overheard a co-worker talk about his beekeeping experience in Iceland. Initially I was surprised that Iceland had a beekeeping community, but considering I keep bees in Duluth, Minnesota I guess the idea was not too far-fetched. The adventurous side of me took over, and I had to see what Icelandic beekeeping was all about. I asked for an introduction (Thank You Mike! ), and to my pleasant surprise, Torbjörn from Iceland invited me, and a friend and fellow keeper Dave Worley, to help harvest his honey and begin to winterize his hives. Deep breath – flights booked! It is one thing to have a friend pick you up at the airport. It’s another leap of faith to have a stranger you met over email pick you up in a foreign country. We arrived at the Keflavík airport at 9:00 am, and after we walked through customs, Torbjörn was there waiting in his tweed jacket, just as he described. We hopped into his diesel pickup, which like every beekeeper’s, was filled with feed buckets, spare hive parts and any other accessories that might be needed, and we were on our way to work his bees. We had no time to get acclimated to Iceland – just straight to work. During the drive to the first beeyard, we traversed some of the most beautiful landscapes I have ever seen. Picture the surface of the moon covered with a putting green, that would give you a good start of what the terrain looks like. We started the dialog about how and why Torbjörn decided to keep bees in Iceland. It turns out that he started in Norway with his father, and when he moved his family and medical practice to Iceland, he brought his passion for beekeeping with him. 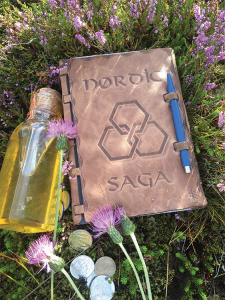 Beekeeping Journal lying in Heather blossoms and Thistle. 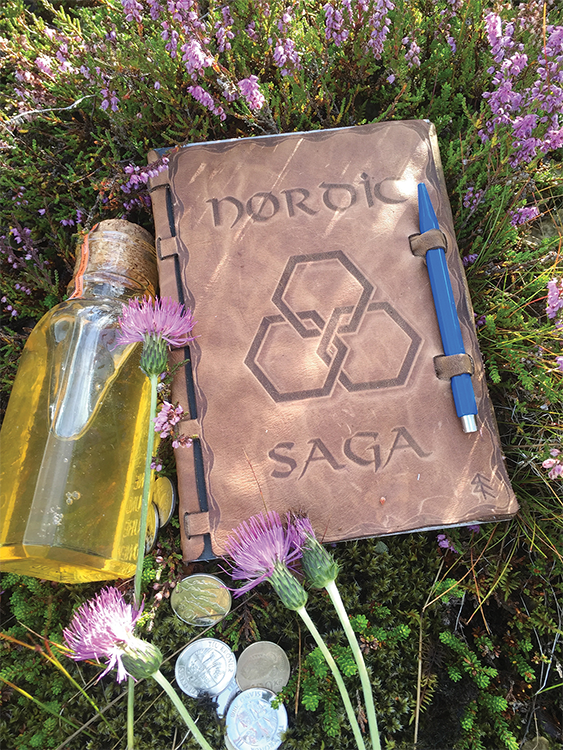 Bottle of honey and Icelandic króna. We arrived at his first yard just on the outskirts of the capital Reykjavík. We lit a smoker using burlap that was once used for moisture wicking and started with the first hive. As we opened the lid of the styrofoam hive, a medium cluster of bees hung quietly working. Based on my experience, I felt the hive was not very robust considering it was the end of Summer, but Torbjörn could not have been happier about the cluster. He felt that this colony was in excellent shape and should fare well through the extended Winter. Despite its name, it turns out that Icelandic Winters are not horribly cold. The January average is between 28ºF and 36ºF compared to Minnesota where the average is between 2ºF and 19ºF. The greater challenge is preparing for a Winter that is extremely long while relying on a conversely muted Summer to do it. Their climate does not see the substantial temperature increases Minnesota does, therefore colony buildup is slow and bee forage is not robustly abundant. While vegetation is stunted, there are several shrubs and low growing plants that provide a variety of diverse resources. Bees rely on Crowberry, Coltsfoot, Arctic Thyme, Angelica and Heather as major nectar sources to provide the necessary resources to attempt to survive the long Winters. The cycle of Summer harvest and Winter survival is one that many of us are familiar with, but the extreme environmental situation of Iceland seems insurmountably skewed against bee survival. The symbiotic relationship between the wild vegetation, genetic strain of bee, and devoted tending by keepers is what makes colony survival possible. In a population of 330,000, Iceland claims approximately 100 beekeepers and 300 hives. Over the history of the country there have been several attempts to import and sustain honey bee colonies, the most recent started in 1998. When bees are imported, they come from Åland, an island in Sweden. These bees have been isolated from the mainland and must be certified healthy and disease free by a veterinarian before making the voyage to Iceland. 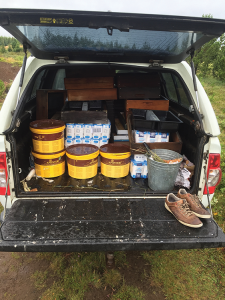 To date, Icelandic beekeepers enjoy the luxury of not having to deal with Varroa mites. Can you imagine what beekeeping would be like without mites and the associated complications they invoke? Torbjörn feels that it is only a matter of time before diseases and mites make their appearance, but for now, they enjoy healthy hives. Like most quality things, imported bees come at a price. A package of bees from Åland costs $600 USD and a bred queen will run $100 USD. Since there is no equipment supplier in Iceland, all of the equipment needs to be imported as well, that will run another $500 USD or so. Expenses can add up fairly quickly, so you can understand why such a premium is placed on survival and sustainability, it is the focal point of the beekeepers there. Considering the long Winter and limited environmental resources for harvest, it begs questions such as, how do the bees make it? What kind of stores to they need to make it through a Winter? How can they harvest enough to survive? Thinking back to the colony I considered small (but Torbjörn was happy with) is the beginning of the puzzle. I would estimate that this colony going into Winter was roughly 1/2 the size of a colony we put to bed in Minnesota. We try to leave between 80 and 100 lbs. of honey per hive, and depending on the Winter temps and duration, they seem to have enough stores to make it into Spring where they can start harvesting resources again. Fall cluster of Icelandic bees inside medium bodied styrofoam hive. Torbjörn feels the bees need to produce less heat because the styrofoam is a better insulator, thus moisture mnagement is less of an issue. I asked Torbjörn what a typical harvest for his bees would be and what amount of honey he would leave them for the Winter, the numbers were quite surprising. He estimated a successful colony would harvest near 50 lbs. of honey over the course of the season, and he would leave them about 20 lbs. while adding a bit of supplemental feeding. Since he started using styrofoam hives, he feels survival rates have improved, and he calculates that his hives consume between 25 and 35 lbs. of honey during the Winter. Granted the Icelandic Winters do not produce the -20ºF temperatures that we experience, but still the amount of honey consumed to get through the 6+ months of cold dearth seems almost impossible. One aspect of the equation is the genetics of the bees. While Buckfast in principle, these bees have been isolated in Sweden and Iceland for many generations and have therefore evolved into the strain that they are now. They are very gentle and easy to work with, conservative and cautious to grow, cold tolerant, opportunistic with resources, and are naturally frugal when it comes to the usage of reserves. Simply put, this population’s primary goal is to survive, therefore colony success is typically judged in the Spring when the weather has warmed and Winter is over. If a hive survives, it is considered successful. This approach is much different than I am accustomed to in America. 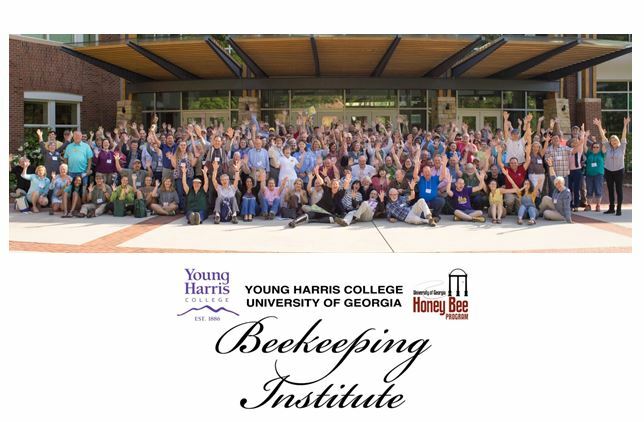 Here it appears that we try to build up bee populations as fast as possible, so we can either maximize honey harvest or have a colony robust enough for pollination services. The focal point is aimed towards more growth or more honey at all costs. The Icelandic priorities of survival, healthy colonies, and (if circumstances allow) steady growth and harvest, seem quite opposite to the practices here in the U.S.
Talking with Torbjörn about colony management, queen practices and overall bee strategy was very refreshing, as new ideas should be. I mentioned that I needed to replace an old queen when I head back home. He asked me how old she was? “1.5 years” I said. He looked at me and shook his head and asked “What are you doing that for? If I can have a queen for three or four years then she should stay, and if she is not doing a good enough job, then the colony will decide to replace her”. Icelandic beekeepers welcome swarm cells, supersedure cells and any other behavior from the bees that display their natural and acclimated tendencies. 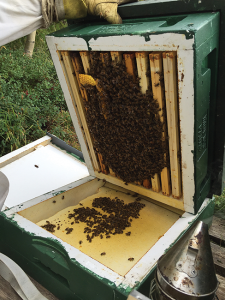 They view these activities as signs of healthy bees and will then manage the colonies based on those expressions. If the hive has created swarm cells, then they will divide it. If the hive has created supersedure cells, then they will let it supersede and hope the weather allows for good breeding days so the colony can propagate once again. If not, then the colony will be combined with another. Again the focus is on survival and health – always preparing for tomorrow and next year based on what the bees and environment present the keepers with today. Icelanders are true keepers of bees, they protect, respect and care for the bees at all costs. 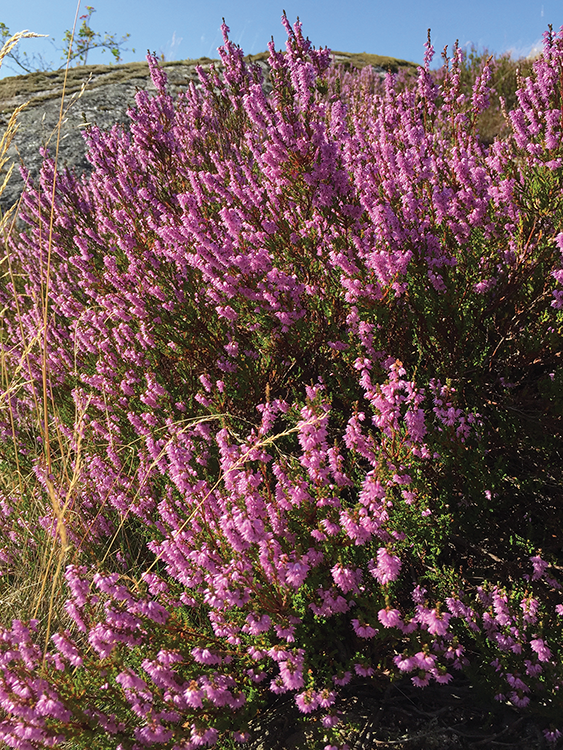 Heather blossoms, also referred to as Ling, on rocky terrain. This is a major nectar source, and produces a very thick pungent honey. 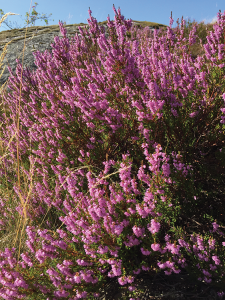 Special equipment is needed to harvest Heather honey because it is so thick. If sustainability and survival are the bell weathers of success, then some might ask what is the point of keeping bees in Iceland? On the first day we worked all of Torbjörns 20 hives, and from those colonies we were able to pull 11 medium supers of honey (all his boxes are mediums). That night at dinner we were sitting around talking about the day and Torbjörns harvest. He raised his glass of wine and thanked us for helping him with the work. While most beekeepers in America might be disappointed with 11 supers harvested off of 20 hives, Torbjörn seemed most pleased. Doing a bit of math in my head: $600/colony, $500/hive equipment, 20 hives, fuel, time, 11 supers . . . based on my perception of what honey is worth, it just didn’t seem to add up. Curious, I asked Torbjörn what he sells his honey for? He looked at me with a gleam in his eye. “Well, I can tell you that my honey is not the most expensive Icelandic honey, nor will I have any problem selling all of the honey we just harvested.” Ok, so I am thinking maybe $15 to $20/lb. 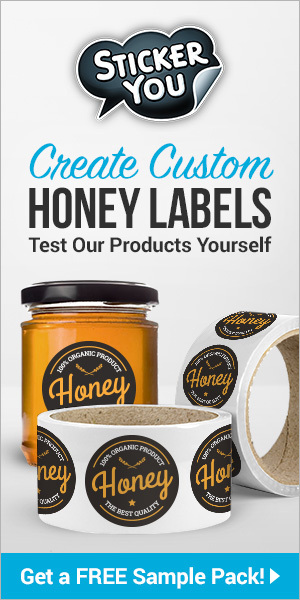 “Last year I sold my honey for $65/lb. to retail stores.” I sat there in disbelief for a few seconds. That meant we harvested over $20,000 worth of honey today! I laughed and said “That is amazing! It is unbelievable what tourists will buy!” Torbjörn quickly said, “No, mostly Icelandic people are buying my honey”. “Why?” I had noticed in the stores there that they can buy imported Belgian honey for less, and I’m sure that would still be a quality product. Torbjörn explained “Because it is from Iceland, and people here understand the importance of supporting each other and because it tastes amazing of course!” This made me think a bit. I have always been a believer in the concept that “you get what you pay for”, but this price point seemed to be well beyond that threshold, so there had to be something more to it. 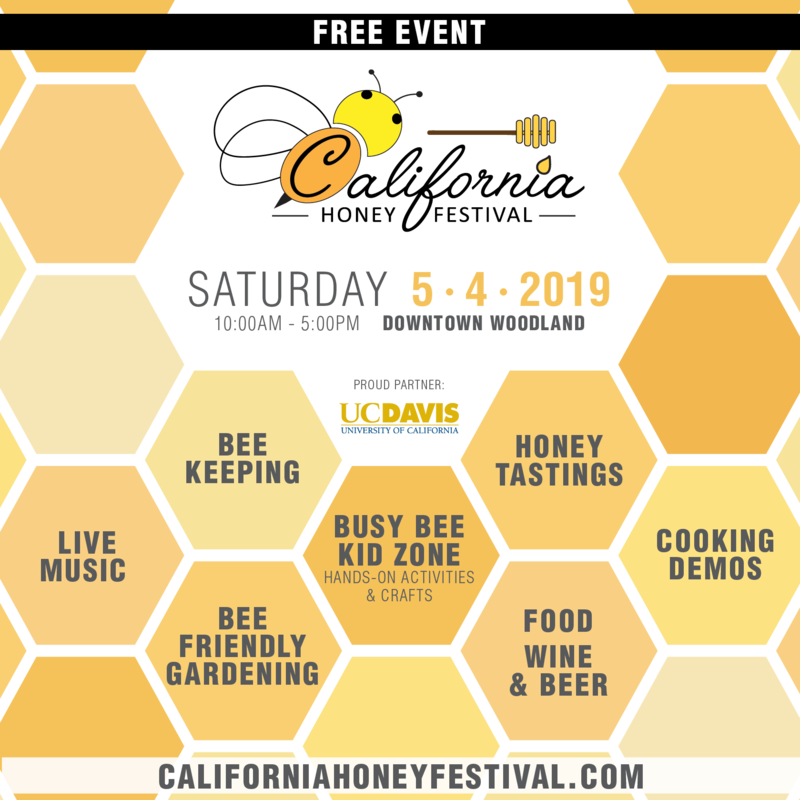 Why in an economy that went bankrupt in 2008, where people pay 40% income taxes and gas is over $7.00/gal, would they choose to pay so much for honey? The answer is simply that the value of surviving and being self-sufficient as a country is more important than saving a few dollars. The idea of success today without a future for tomorrow is foreign to them. Long term survival for the population is the goal- a superorganism if you will. What do the Icelanders get for this kind of mindset? The economy is booming, the residents have one of the longest life spans on earth, and the country as a whole is one of the happiest places to live on the planet. The unique environmental situation of Iceland has created a population that is keen on survival, sustainability, and measured growth. While my original goal of traveling to Iceland was to learn about managing bees in an extreme environment, what I actually discovered is that with the right priorities, values and compromises, populations will not only adapt to their surroundings but eventually learn to thrive. This is certainly true of both the Icelandic bees and the Nørdic people that support them.